Course Type: Industry Related (IR) - 8 hrs. Advanced course for those that really wish to understand in detail electrical wiring diagrams. 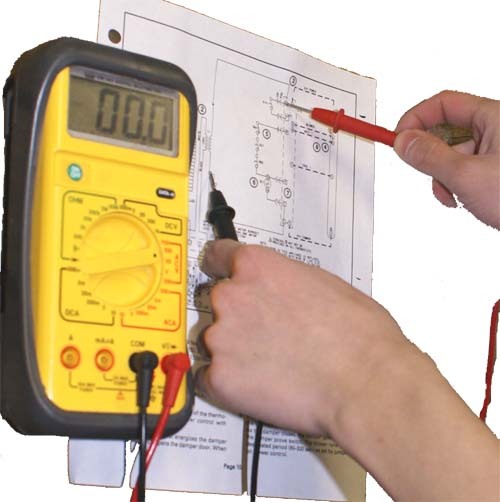 Course starts with a review of basic circuits, advances into details on over 60 electrical symbols and components. Course finishes with step by step construction of electrical furnaces, gas furnaces, electrical water heaters and ends with a gas boiler with all of the common safeties that you will find on most commercial hot water boiler systems. This course will help an electrician understand the electrical systems and circuits that are commonly used in the electrical industry. No code book or other materials are needed when taking this course. Every Monday morning, your certificate of completion is uploaded into the ID Building Safety database.